I do miss the old vie of all my external contacts! A big loss for me, because I can’t see the availability of my external contacts outside of the chat or any other direct interaction. And in my case: I have a huge list with external contacts! It might be a very specific thing, but I would really like to clean out my list, at least all the test calls! That is a big one! 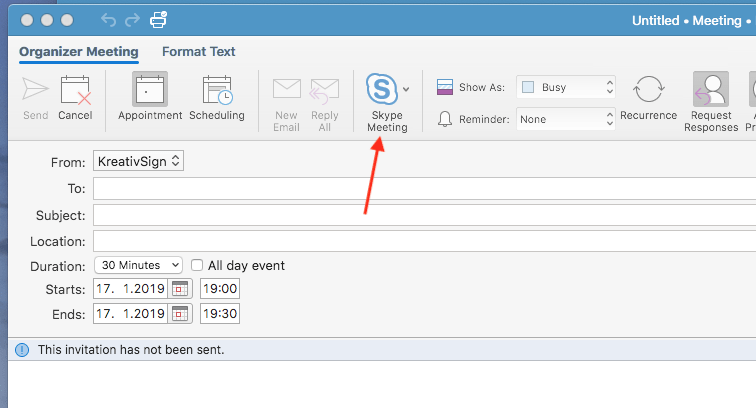 I use a Mac running the latest macOS and the latest Microsoft Outlook 365 version. 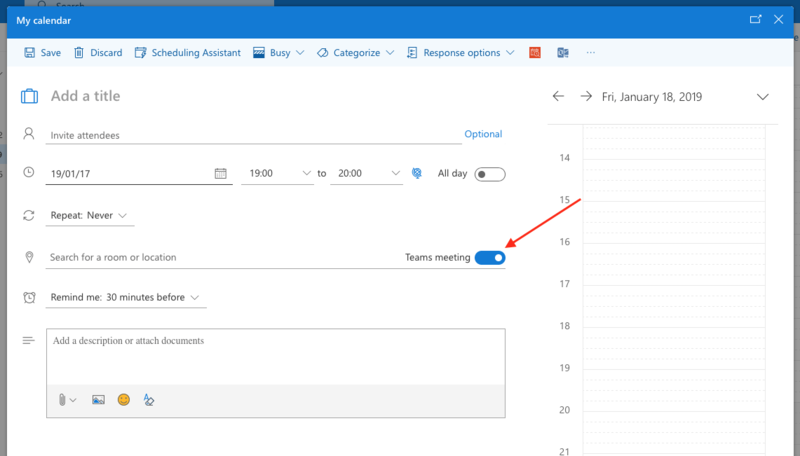 Even if one of the latest updates for Microsoft Outlook on the Mac announced the Integration of Microsoft Teams, only Skype is shown. After using Microsoft Teams as the primary telephony solution, I’m impressed by the quality! The new codecs seem to be much better and even a lot more stable/reliable. On the iPhone, the Call Kit integration is great! What still cause a lot of issues for me: When a Phone Number is highlighted in a Mail or on a website, and you press it long, to get a list of call clients… Teams is in the List! 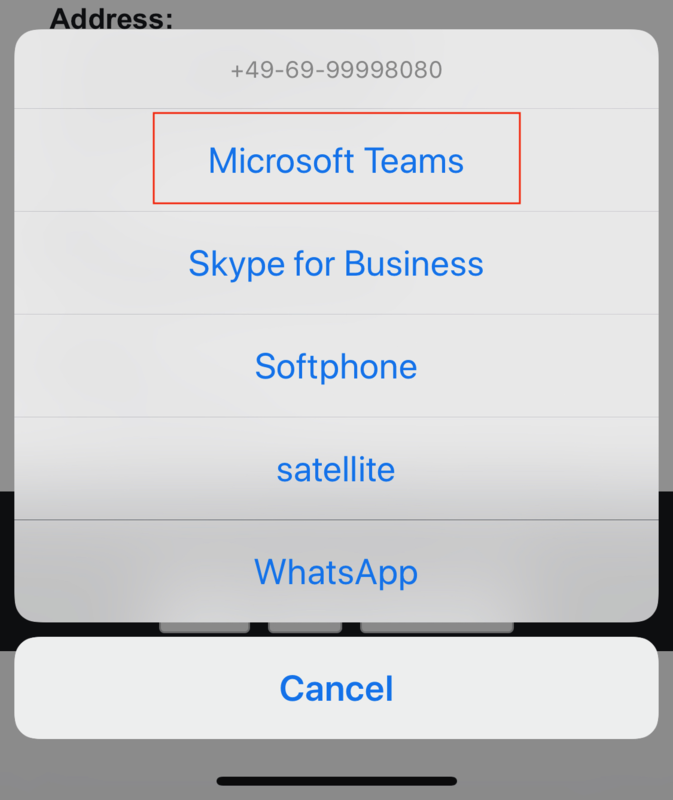 However, if the number is not formatted in perfect ENUM (E.164 NUmber Mapping) the Microsoft Teams opens, and nothing happens. 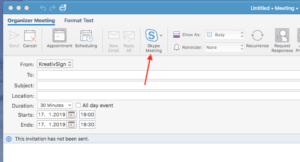 Even numbers that worked fine with the Skype for Business client. And you can’t expect perfect ENUM formatted input from signatures or websites. And a Funny thing I found a few days ago: My User is Teams only! 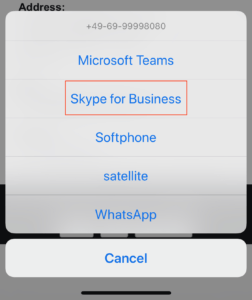 I can’t use the Skype for Business Client on my iPhone to place phone calls or interact in existing chats. That is what I expected! If you select Skype for Business, it will place you call! I really didn’t expect that!